Welcome back to school, and especially to Ridgeview Kindergarten! We were delighted to meet all of our children. We’ve had a really fun first week of Gradual Entry, taking our time to get to know the children, the children meeting their new classmates and everyone is learning about classroom rules and routines. There will be a lot of changes moving from preschool to Kindergarten, and in a big school like ours it’s important for everyone’s safety that we review the expectations. Monday, September 11: 9 am-12 pm for all Kindergarten students. Please bring a snack and a non-spill water bottle. Please be on time to pick-up your child. Intake Conferences for Kindergarten parents begin promptly at 12:40 pm. Tuesday, September 12: 8:50 am-2:55 pm for all students. Please bring two snacks, lunch and a non-spill water bottle. Please indicate to your child that one snack is for the afternoon. Wednesday, September 13: 8:50-2:55 pm for all students. Please bring two snacks, lunch and a non-spill water bottle. Thursday, September 14: 8:50 am-2:55 pm for all students. Please bring two snacks, lunch and a non-spill water bottle. Please Note: “Meet My Teacher” for Grades 1-7 have an early dismissal at 2 pm. Kindergarten is in session until 2:55 pm. Kindergarten Families are encouraged to visit the sale of Ridgeview Spirit Wear and the Ice-Cream Social at the undercover area across from the portables after dismissal. Friday, September 16: 9:00 am-12 pm for all students. Please bring a snack and a non-spill water bottle. Intake Conferences for Kindergarten parents begin promptly at 12:40 pm. Please sign-up for your child’s Intake Conference if you have not have already done so. If your child attends Camp Ridgeview, please inform them to make arrangements for early pick-up and which classroom your child is enrolled. It’s very important to sign-up for Remind. We send home many reminders and information for parents this way. We also send you the link when we have posted our classroom newsletter or posted on our blog, theselfregulatedteacher.com We have an information sheet posted on our Parent Bulletin Board on how to sign up, or if you need a paper handout then please ask. We do a lot of parent communication online so all parents, particularly working parents, receive information about our classes at exactly the same time. We sent home our Developmental Questionnaire today for you to fill out. Please return at any time before your conference, or bring the questionnaire on your day. 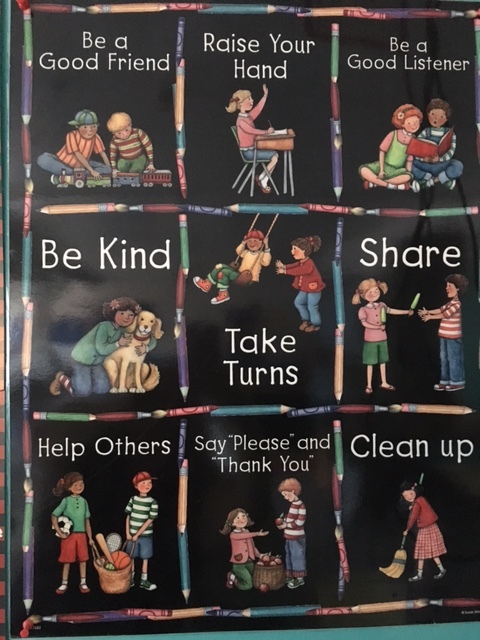 We sent home the Kindergarten September Homework for some fun activities for you to do with your child on Thursday this week. Attached was the new Ridgeview Traffic Safety and Parking Map from our Principal, Mrs. Brady. Please take some time to review this very important document as traffic safety affects everyone, students and adults alike. Although we are sending this newsletter home on paper, it will be the only time this year. We have also posted it on our classroom website: theselfregulatedteacher.com. All future newsletters will be posted on the website. Please check our website weekly. We will send you a link on Remind when the newsletter is posted.